This is where you can find all information about the Rick Future game. Make sure to check back now and then! We are updating the section regularly. One of the game’s early locations. 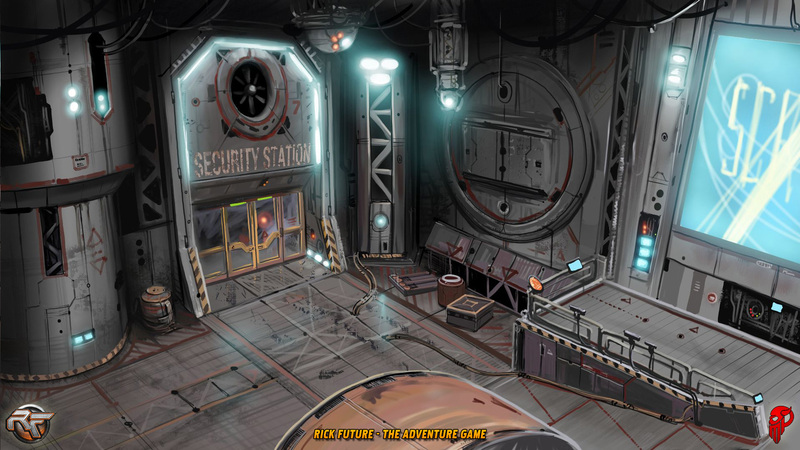 Rick Future is a classic point & click Sci-Fi adventure game. 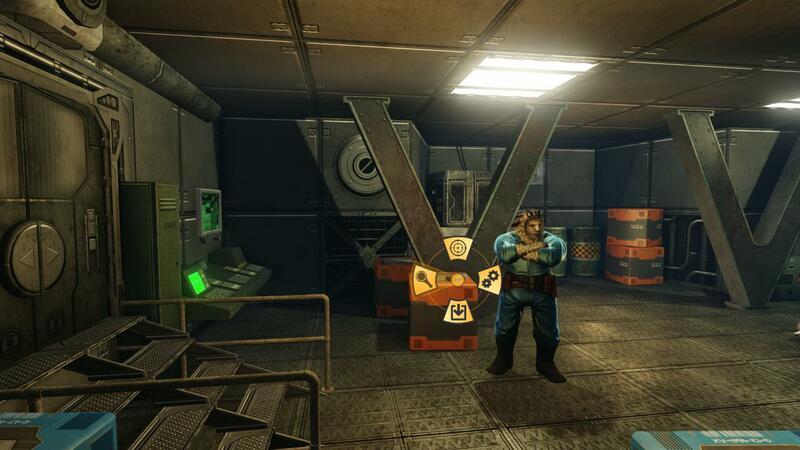 The player controls Rick Future, the captain of an old cargo ship and his crew, joining them on an exciting treasure hunt in outer space. The game mixes classic adventure gameplay with beautiful 3D environments packed with various puzzles, riddles and mini-games. 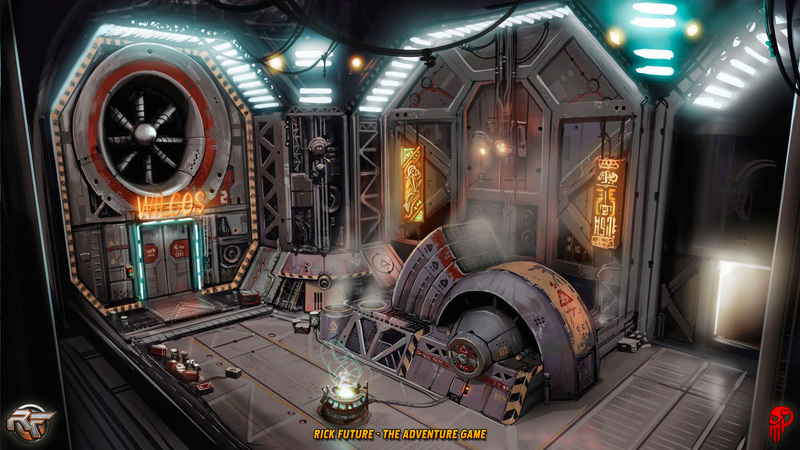 Rick Future is built in 3D using the Unity engine and brings fresh innovations to the genre which would not be possible in traditionally drawn 2D environments. The main storyline of the game will have our heroes chase after a long lost treasure in one of the most dangerous sectors of our galaxy. There they will meet many colorful characters, solve challenging puzzles and explore the rich sci-fi world the Rick Future universe has to offer. … in a Beautiful Sci-Fi World. 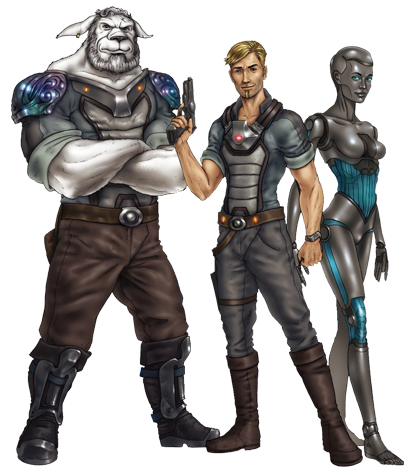 While trying to uncover the mystery of an old and long lost alien ship and its mysterious cargo, our heroes will travel to various planets and space stations. All locations are built entirely in 3D and offer countless possibilities for the player to interact with the world and its inhabitants. The creation process for each location starts with a hand drawn concept, which is then developed into a whitebox prototype and finally modeled, textured and lit by our artists. 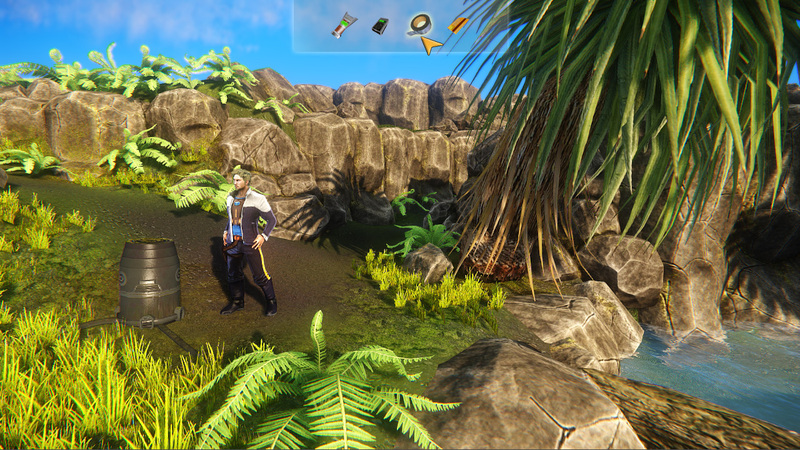 Rick Future’s custom camera and location system makes travelling through the game environment a seamless experience uninterrupted by long loading times. Many interesting, funny and dangerous characters can be encountered in the world of Rick Future. A powerful custom conversation system has been created to allow the player full interaction with all characters. Branching dialogs whose outcome influences the story development are just a part of what the player can expect when meeting the non player characters in Rick Future. Check out the development diary video to see how the conversation system works. The player can switch between the three main characters at any time. In fact, in order to solve certain puzzles it will become necessary to utilize the different abilities of the characters.